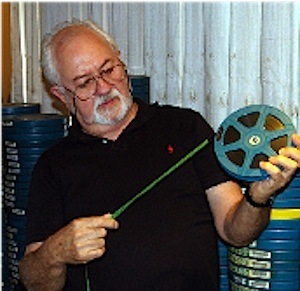 Though the WA TV History group is a separate entity from the Australian Museum of Motion Picture and Television (Inc) we share a passion for preserving the heritage of the broadcasting and film industries. The following will give a glimpse of what AMMPT is doing in the following months. The museum association is still looking for a permanent home and is in constant need for additional storage space as their vast collection of equipment and memorabilia grows. After an unfortunate hiatus to the regular monthly events, the first for 2012 was held at the RSL hall on April 18th. The Committee was pleased to see the very large number of members who responded. There was also a few new members, some whom fortunately brought a camera to record the event. The main attraction was our speaker for the evening, AMMPT film librarian Keith Rutherford. Keith explained the progress being made with culling and cataloguing items in the film collection, as well as highlighting the need to digitise this and other material. The various forms of digitisation were covered, from the very basic videoing of a projected image on a screen, the multiplexer, and to the more sophisticated methods available today. Meetings are held at our regular venue, the East Vic Park RSL Hall, Fred Bell Parade, Bentley on the third Wednesday of each month from February to November between 7:30pm and 10pm. Presented by Dr. Ian Godfrey, Also video of Mawson’s Hut project. Vizcom presentation – See and learn of the latest electronic equipment available to our industry which was displayed at the recent NAB show. It has been usual to hold the AGM in October. However there is a possibility this may be changed to early in the New Year. End of year Social event. Details to be advised. 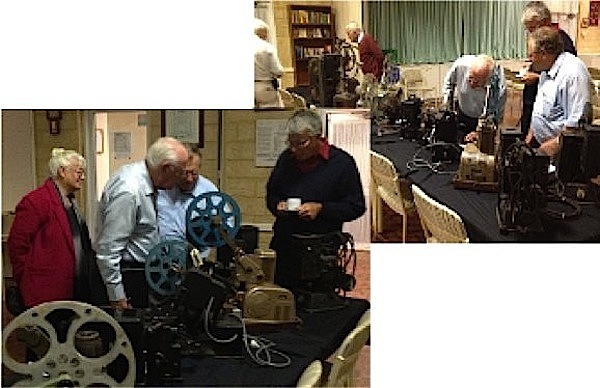 When time permits, selected titles from our 16mm film library will conclude each event held at the RSL hall. Our regular public fund raising event at the Cygnet Cinema on the third Sunday morning of each month. If you cant make it, please encourage others to attend.